A zero waste unisex shaving soap bar. 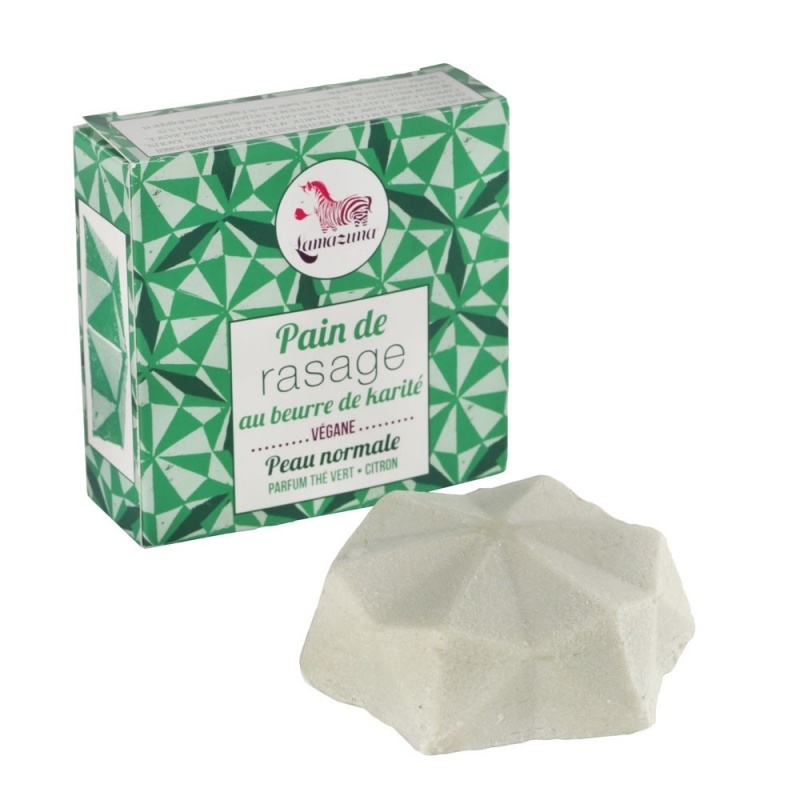 Handmade in France with fair trade organic shea butter. This natural shaving bar can be used on your face, legs, underarms – simply wet with water and rub over your skin. The creamy lather will ensure your razor glides smoothly, ensuring a close shave. A unisex shaving soap bar, handmade in France with fair trade organic shea butter. This natural shaving bar can be used on your face, legs, underarms – simply wet with water and rub over your skin. The creamy lather will ensure your razor glides smoothly, ensuring a close shave. This is perfect for travelling with as it is easy to pack because of how small and long lasting it is – the best thing is that it also won’t be included in your liquids allowance when flying! INGREDIENTS: SODIUM COCOYL ISETHIONATE, BUTYROSPERMUM PARKII (SHEA) BUTTER *, ACID STEARIC, PALMITIC ACID, AQUA / WATER / WATER, KAOLIN, CAPRYLYL / CAPRYL GLUCOSIDE, LAURYL GLUCOSIDE, FRAGRANCE / FRAGRANCE, MONTMORILLONITE, ILLITE, TOCOPHEROL, HELIANTHUS ANNUUS (SUNFLOWER ) SEED OIL. * Shea butter from organic farming and labeled fair trade.